This movie originally came out in 2014 with its sequel releasing last year. Kingsman had been floating around my attention for a while now, but it was looking forward to seeing the new Robin Hood movie that really got me to watch this. Taron Egerton is in that film, and since watching the trailer, I was like, "I need to see some of his other films." This of course let to some basic googling and realizing that he was in this film, which had been on my list of things to watch for a couple years now. I really enjoyed Kingsman. The cast was killer, the music was classic adventure, secret agent stuff, and I loved watching the action sequences. It just fell a little flat for me in terms of suspense and high stakes. There were definitely moments when I was really closely drawn to the screen to see what would happen next, but for the most part I just wanted to see what cool stuff the spies had to play with or what dangerous task they had to complete. One of my favorite things about this movie was how everybody moved. That sounds really weird, so let me explain: they all seemed so fluid and agile. 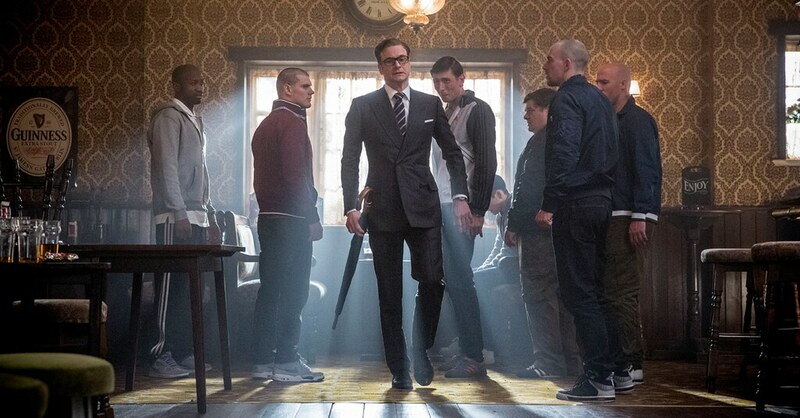 In the scene where Eggsy escapes the group of guys outside his house, I was just watching with amazement. Even Colin Firth seemed to move with so much more grace than usual, or at the very least, a vivacity that isn't in his other films. The plot of the movie was pretty great too. It was slightly stereotypical, but also not. It was a classic this-one-guy-knows-what's-best, but that one guy, Valentine, was able to convince so many other people that what he was doing was the right thing. Having the focus be on the environment and "saving" the planet was also a great twist on the classic villain type that only wants to have control. As far as I remember, that was no where near Valentine's agenda. Everyone did an amazing job in terms of acting. It was weird at first to see Samuel Jackson play a villain, but he did such a great job with it that now I will probably always think of him in this role and keep this performance in mind. And then there's Colin Firth and Michael Caine... Firth was another one where it was really odd to seem him in a role where he was kicking a**, but he pulled it off so well. Caine I feel like can be plopped into any role like this one and kill it. 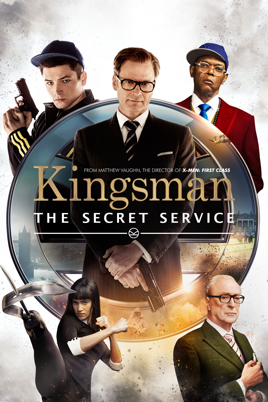 Looking at the younger cast members, Taron Egerton and Sophie Cookson did amazing as well. I haven't seen any of their other works yet, but based on these performances, I would be incredibly interested in seeing more from them. In general, I feel like I need to start watching more action and/or spy movies. I really enjoyed this one, so I think I would really enjoy some other ones.